The Spring AAU and live periods are officially behind us and now it's time for NEO Spotlight to gear up for June, perhaps the busiest month of the offseason. Between team camps, high school shootouts, and elite camps, both players and coaches alike have a lot on their plate. Throughout the next month, we will be doing our best to keep you up to date with what's going on in the area with our "Week in Review" series. Stow's Mason McMurray has been one of the hottest names in the area and has a trio of offers to show for it. At 6'7, McMurray has ideal size and skill at the power forward spot. 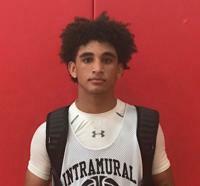 His versatility caught the eye of High Point at the Hoop Group Spring Jam Fest out in Manheim, Pennsylvania back in late April. "Coach Gabriel (Highpoint Ast. Coach) said I would fit perfectly into the system there with my ability to shoot it and take it off the dribble," McMurray said. "I'll be taking a visit to campus sometime this month." Fairmont State and Notre Dame (OH), who are both in the loaded Mountain East Conference, offered McMurray just a few weeks ago and a trip to Fairmont State shortly followed. "Everyone was still on campus for finals and everyone there loves the basketball program." McMurray said he felt "welcomed" on campus and enjoyed competing alongside their current players and other potential recruits. On Friday, NEO Spotlight was able to soak in a four-way scrimmage between Stow, Hoban, Twinsburg, and Mentor. McMurray and point guard Coryon Rice complemented each other well throughout the afternoon and showed some glimpses of what we can expect throughout the rest of the month. Check out Rice's highlights below! Following an impressive showing at their elite camp on June 3rd, Alderson Broaddus became the first program to offer Bay junior R.J. Sunahara. The 6’6 forward is coming off of a breakout junior season where he averaged a double-double of 23.3ppg and 12.4rpg. Sunahara will join McMurray on TNBA Ohio for the July AAU period after spending last summer with OBC. Click HERE for his highlights from last season. Kaleb Martin (Green) 5'9 PG '19 - Martin, the top underclassmen in the Federal League a year ago, found himself in a tough battle against Brian Roberts and an athletic Copley group. The two undersized guards exchanged strong drives to the rim and some transition run outs, but it was Martin's playmaking ability that was the difference in a lopsided win for the Bulldogs. The 5'9 lead guard was able to get any place he wanted and set up teammates, including sophomore sharpshooter Garrison Keeslar. Jordan Greynolds (Barberton) 6'4 WF '18 - Greynolds put together a solid performance in two showings throughout the morning. Standing at 6'4 and possessing a strong frame, the rising senior controlled the glass for an under-sized Magics squad. Capable of stretching the floor with a consistent perimeter stroke, Greynolds spent most of the day facilitating and showing off a quality basketball IQ. After what was a bit of an underwhelming season for Barberton in 2016-17, Greynolds and a strong returning core expect to finish at or near the top of the Suburban League's American Division. Jaedyn McCallup (McKinley) 6'5 WF/PF '18 - McCallup is an ideal support guy who absolutely thrives in his role. With a high running motor and effortless spring in his legs, he continuously made plays at and above the rim. No one I saw on the day protected the rim quite like the 6'5 wing. 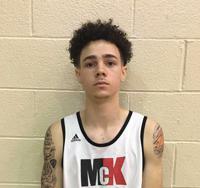 On a team that loses a significant amount of firepower on the offensive end, McCallup will provide Coach Hairston with a boost of energy who will provide extra opportunities on the offensive end due to his work ethic and knack for the ball. @MiddieDK I’ll likely be there on Sunday. Kentucky tomorrow. ©2019 NEO Spotlight / SportsEngine. All Rights Reserved.